Congratulations to SolarNow, we have done it again! 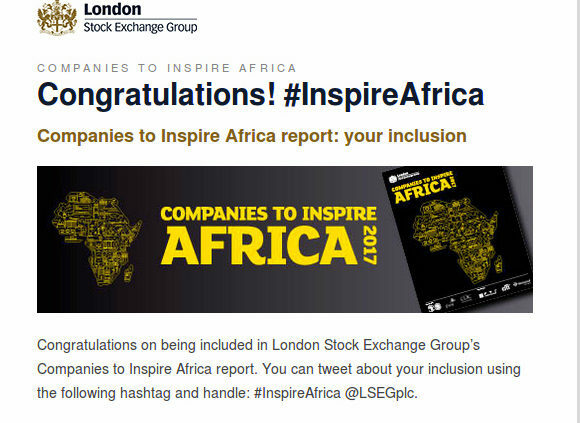 SolarNow was mentioned by the London Stock Exchange Group as one of the Companies to inspire Africa. We have touched 70,000 lives in Uganda and still continue to transform lives and make a difference, that is inspiration. We are proud that we have received so much fantastic support from all our investors and outside help. 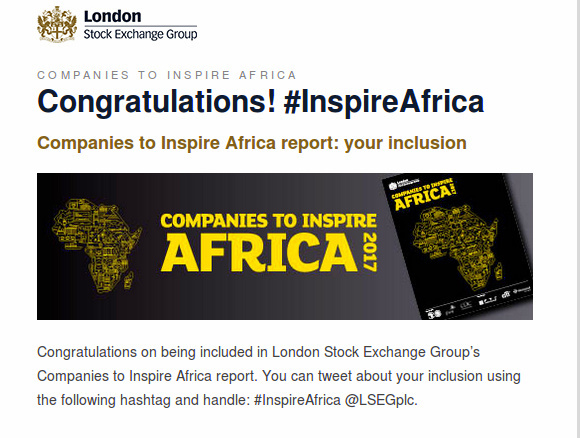 Thank you London Stock Exchange for the recognition.